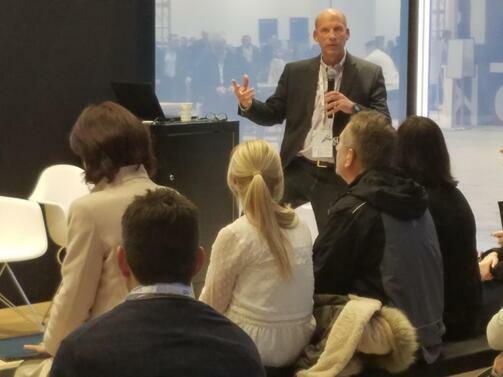 Pereion Solutions was proud to present and be a part of the IBM Think 2019 conference that wrapped up last Friday. Our founder and president, Steve Perry, discussed ways to utilize data driven insights and leverage the power of AI to diagnose struggle, remove obstacles, capture lost revenue and improve customer experience using IBM Tealeaf Customer Experience on Cloud (Tealeaf CX on Cloud) and Watson Customer Experience Analytics (CXA). Please click the tile below to take a look at additional Tealeaf CX on Cloud and Watson CXA customer use cases that were not included in our presentation. Missed our IBM Think 2019 session? Download a copy of our presentation or schedule a consultation on Data Driven Customer Experience with IBM Tealeaf, by clicking the tile below. In addition to our presentation, we are thrilled to have introduced Pereion Solutions' Learning Paths at IBM Think 2019! In effort to address the needs of our customers and put resources within reach to effectively leverage IBM Tealeaf CX on Cloud and Watson CXA solutions, Pereion developed the Pereion Learning Path portal. It is designed to help you focus on specific areas important to facilitating effective digital analysis and creating actionable customer insight. Our Learning Paths curriculum is continually being developed so be sure to visit our portal regularly for new material. Click below to register and get started on your learning path to successful digital analysis! IBM Think 2019 is just seven days away and an ideal time for companies to get hands on experience and explore the many technologies and resources that can be employed to help transform and optimize their businesses. Artificial intelligence (AI) will again be a key topic at Think and a great opportunity for online businesses to discover new ways of leveraging the power of AI in solutions like IBM Tealeaf Customer Experience on Cloud (Tealeaf CX on Cloud) to enhance digital experiences and maximize business opportunities. Not attending Think but are interested in learning more about Tealeaf on Cloud and the valuable information being presented? Please click below for a one-on-one discussion on Data Driven Customer Experience with IBM Tealeaf.